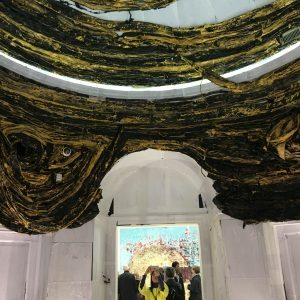 The 57th Biennale di Venezia – was curated by the director of the Centre Pompidou, Paris, Christine Macel. Titled VIVA ARTE VIVA, this is an Olympian presentation of art which proposes “an alternative to individualism and indifference… designed with artists, by artists, and for artists.” There are 85 National Pavilions located in the Giardini (Vaporetto Stop on Line 1), the Arsenale (within walking distance or one stop before the Giardini), and dotted around the city of Venice, such as the Antigua and Barbuda Pavilion in Fontamenta Nani. 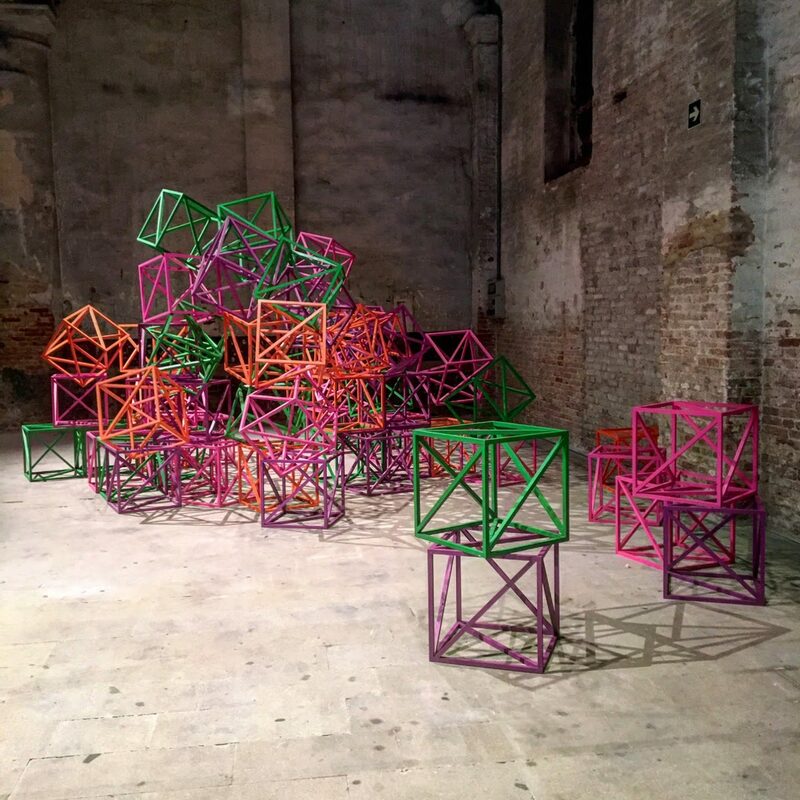 An additional 23 official collateral events like “Future Generations Art Prize” at the Palazzo Contarini Polignac, run alongside dozens of must see exhibitions like Diaspora Pavilion and Intuition at Palazzo Fortuny. 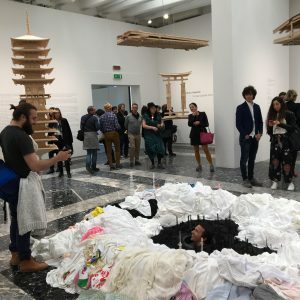 At its heart is Macel’s “global” exhibition, which unfolds spectacularly across nine “chapters” in approximately 20,000 square meters of exhibitions space between the Curator’s Pavilion at the Giardini to the Giardino delle Vergini in the Arsenale. Elegantly following her curatorial threads, it showcases 120 international artists, with many immersive and theatrical site specific installations that include a central woven tent “A Sacred Place” by Ernesto Neto, and a wall crammed with bails of naturally pigmented fibre “Escalade Beyond Chromatic Lands” by Sheila Hicks. These are realms of “dreams and utopias” and to walk its length is an art Odyssey. Take the Vaporetto to the Giardini for 10am and queue for the most popular pavilions early. 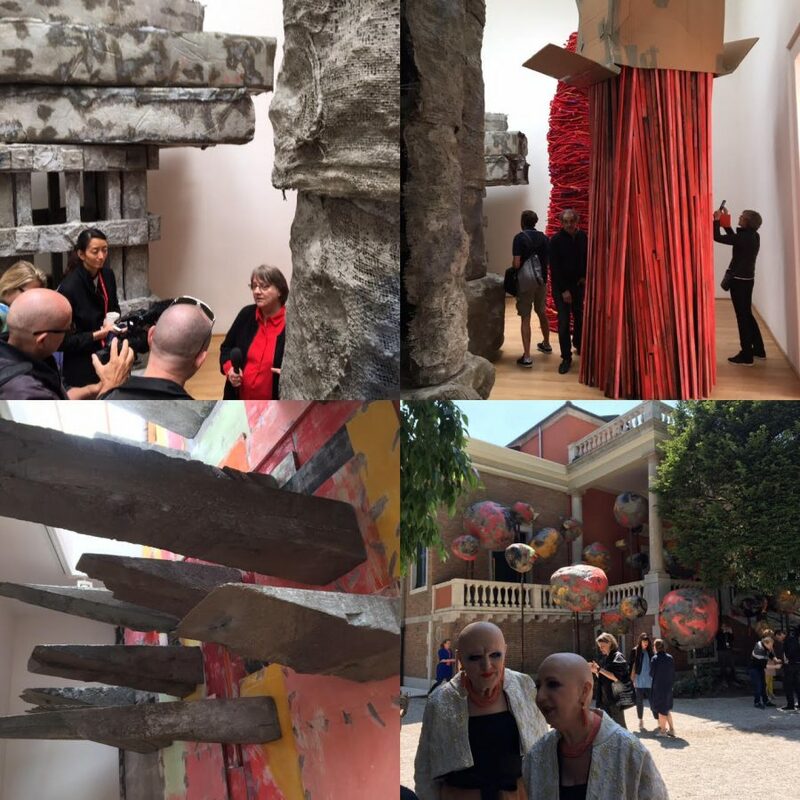 Start with Phyllida Barlow’s “folly” at the British Pavilion, which proves a perfect tonic to Hirst’s monumental “fakery” project which opened at the Palazzo Gritti. 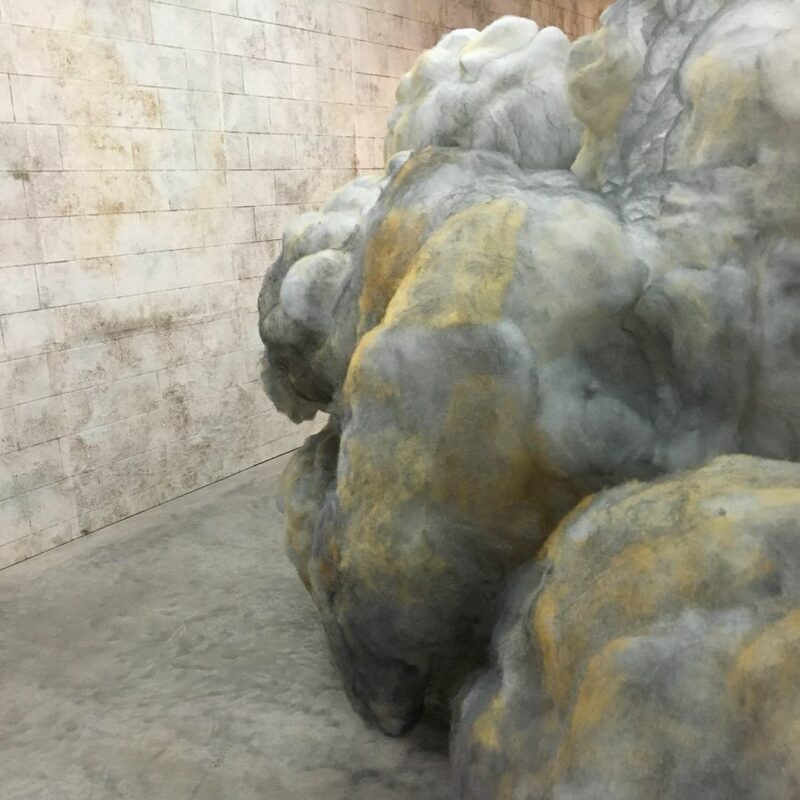 Barlow, one of the many artists represented by Hauser and Wirth at La Biennale, has a collateral show this summer at Turner Contemporary’s ‘ARTIST ROOMS’ in Margate. Known for her temporary, speedy constructions, she whipped up a colossal set of monolithic shapes (using industrial materials like scrim, polystyrene, cement, timbre, and bonding plaster) splashed with red, yellow and pink paint. It feels like walking into the backside of a fantastical opera set; gargantuan structures jam, jut and clutter the pavilion’s rooms. Whilst waiting check the performance times for the French Pavilion Studio Venezia by Xavier Veilhan, or Anne Imhof’s award winning production for the German Pavilion on either side, then get in line for the Japanese Pavilion. “Upside down, it’s a Forest” by Takahiro Wasaki is like sticking your head into an Ian Banks novel; I won’t spoil the fun for you, but the key here is to be brave so you can observe the furry outline of a miniature forest circling the opening’s rim. This is a work that hinges on voyeurism, mentally flipping you onto either side, through the strangeness of being seen. It also echoes Imhof’s performance, which banks an uncomfortable national history then asserts a paradigm shift by shocking the audience into active participation. 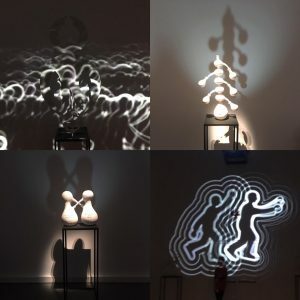 Then prepare to be delighted by the monochromatic shadow play at the Russian Pavilion, Theatrum Orbis curated by Semyon Mikhailovsky, with Grisha Brushkin, Sasha Pirogova and Recyle Group. Further on is Women of Venice at the Swiss Pavilion. Their collateral series of talks “Salon Suisse” at Palazzo Trevisan hosted by Koyo Kouoh – founding artistic director for RAW the curator for 1:54 Contemporary African Art Fair in London and New York – is seriously thought provoking. 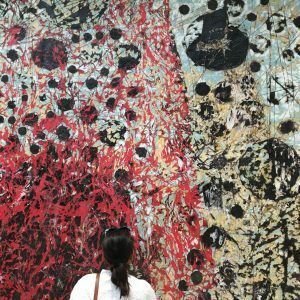 Then partner up and get in line for Mark Bradford’s epic triumph “Tomorrow is Another Day” at the United States of America Pavilion, curated by Christopher Bedford and Katy Siegel from the Baltimore Museum of Art. The coffee and ice-cream queue is next door so you can take turns. Bradford takes you through a perfectly sequenced group of works, beginning with a gargantuan heel that swamps the first room (possibly Bradford putting his foot down). With sculptures, installations, film Bradford sequesters a vast range of media including hair dressing materials from his mother’s salon, highlighting the inherently social nature of our material world. These are a testament to his long-term commitment to those on the margins – connecting us to both their vulnerability and resilience. The final room shows a short film on repeat that will stop you in your tracks. A young boy in yellow shorts walks away from the camera, down a road with gradient that acts as a Trompe-l’œil. “In my mind I am trying to figure out whether he is moving forward or not, and just as I start to walk away I realise he is moving. 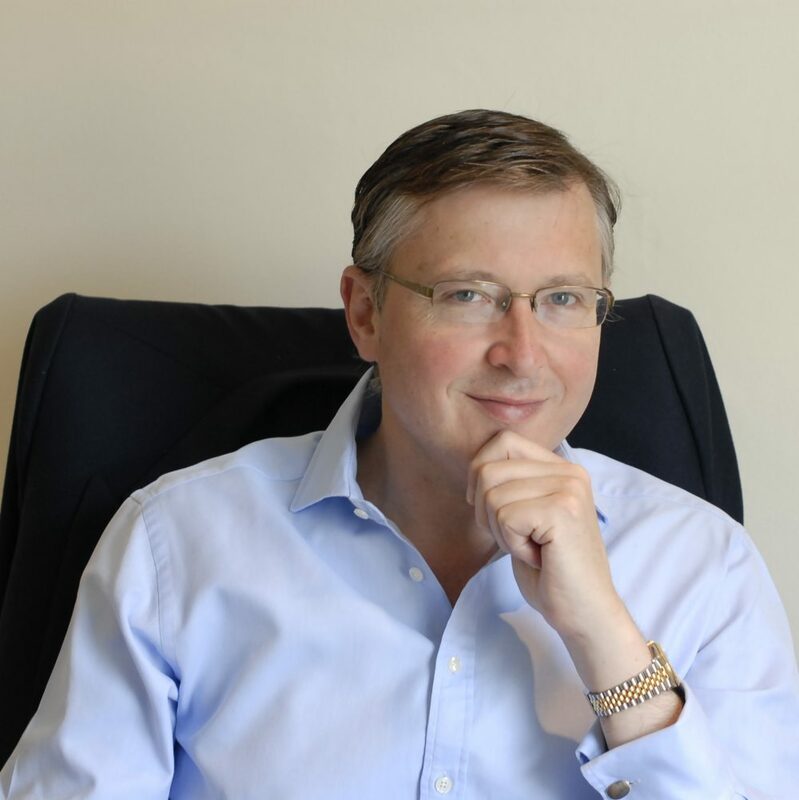 It made me that progress is just the accumulation of small steps,” said Anne Jonas, the Private Secretary to the Governor General of Antigua. The show finishes with an epilogue in the form of a poem carved into granite. It is blinding. Make good use of your time in the queue by taking turns to explore the Israeli Pavilion “Sun Stand Still” by Gal Weinstein. A total sensory experience, it is both deliciously musky and repulsive. It encapsulates his morbid and fascination with destruction and construction, and his fascination with our desire to stop time. Then head over the bridge directly to the Romanian Pavilion. Here you will find the recreated studio of polymath Geta Brătescu. 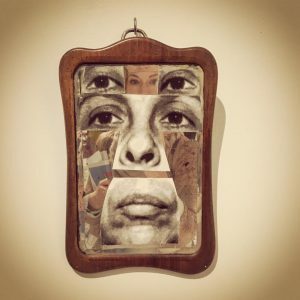 “Apparitions” curated by Magda Radu, is a sensitive and timely retrospective of Romania’s leading female artist who worked during Ceaușescu’s reign of terror in the 1960s. Laid out in thematic clusters, this exhibition attempts to mirror how Brătescu came to see her studio as both a physical space and a meta-artistic entity. It achieves this by showing the complete range of her vision, and then pulling it all into focus with a seminal work (self portrait): her hands central forms of investigation and tools of creation. Complete the day with the Curator’s Pavilion where Macel’s introductory realms for VIVA ARTE VIVA. It opens with “The Green Light Project,” brainchild of Olafur Eliasson in collaboration with Vienna based TBA21 . In this living studio space, 40 migrants from different backgrounds work together to create Eliasson’s geometric green light design out of sustainable materials. 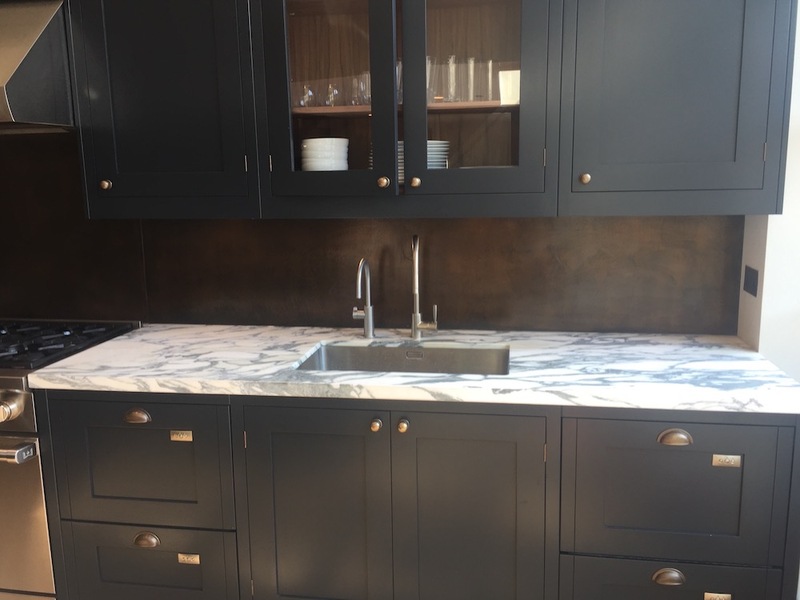 It is both a work of art that shapes its environment (through modular structures) and a conversation, one that proposes to find solutions in the process of working together. “Going to Venice should be like going closer to society… like a microscope: you can see cultures in more detail, and what it means to be a part of the times,” say Eliasson.